Hi again, I hope that you are all having a great week!! 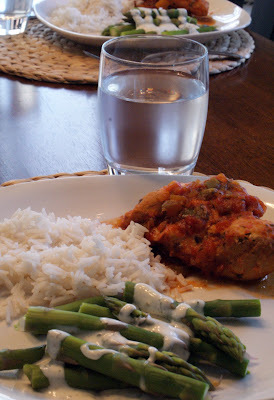 Today I'm sharing one of my husband's FAVOURITE chicken dishes (it's one of mine too!) 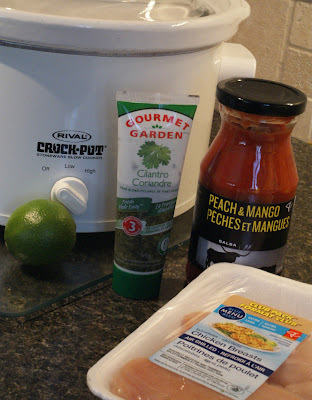 I've mentioned before that I love using my crockpot to cook dinner....this recipe smells so good while it's cooking, it only requires four ingredients and tastes delicious!! Mix salsa, cilantro and lime juice in crockpot. Add chicken and coat with the salsa mixture. Heat on low for 6-8 hours or high for 4-5. Serve with steamed veggies and rice. Enjoy!